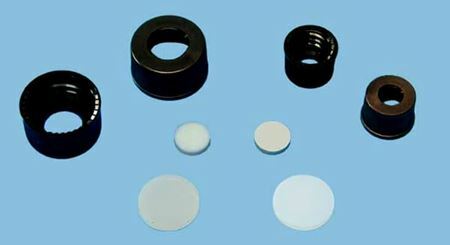 The convenience of a screw cap - the security of a Teflon / glass seal. Each tube includes an open-top cap and a Teflon / Silicone septum. A 22 gauge, standard point needle is recommended for a clean puncture. To maintain spinning quality, choose the tube length that places the threads closest to the spinner. Optional lengths are available on special order. 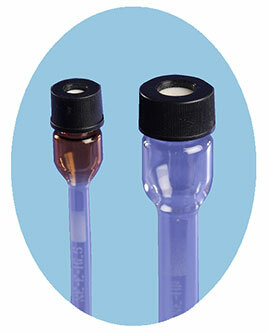 These tubes are ideally suited for glove box preparation of air or moisture sensitive samples. The screw cap provides easy access for kinetic studies. Another proven application has been tracking the evolution of hydrolysis products within bioabsorbable materials.